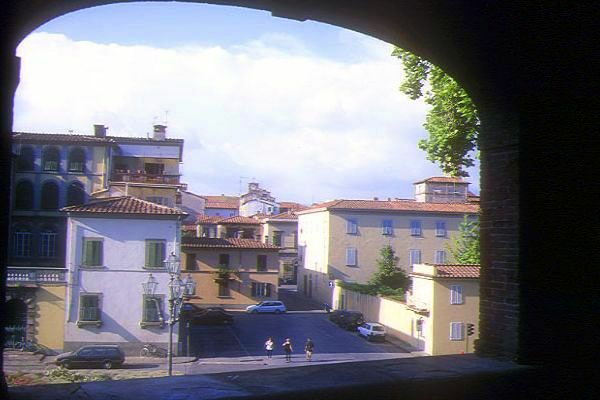 A charming Tuscan town enclosed by massive red brick walls. Duomo di San Martino - Lucca's finest Romanesque building, the impressive facade is a triumph of sculpture, carving and inlay work. Church of San Michele in Foro - To be found in Piazza San Michele. Torre Guinigi - The tower with the tree on top, a fifteenth century 130 foot high tower. Church of San Frediano - The facade of the church is decorated with a lavish thirteenth century mosaic. Palazzo Pfanner - A fine garden with the statues, loggia and fountains. VIEW: More images from the category Lucca .